North Korea say they may test a hydrogen bomb of an unprecedented scale on the Pacific Ocean. The comments came from the regime's Foreign Minister who was speaking to reporters in New York. Meanwhile North Korean leader Kim Jong Un has promised to make a "mentally deranged" Donald Trump pay dearly for his threats. Kim also said that Trump's stance had confirmed his own nuclear program as the correct path. Both of their comments come after the U.S. President said he would "totally destroy" North Korea if the regime threatened the U.S. and it's allies. Ri Yong Ho says his country may detonate a nuclear weapon in the Pacific, according to a report from South Korean news agency Yonhap. President Trump will 'pay dearly' for his threats against North Korea. This the warning from Kim Jong Un amid fears of another H-Bomb test, as tougher sanctions are imposed on the state. 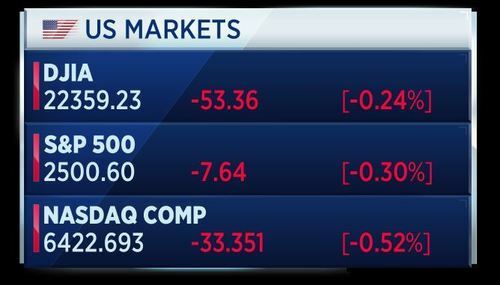 Downgrade doldrums weigh on Asian stocks after S&P cuts China's debt rating, saying 'de-risking' measures are too slow. 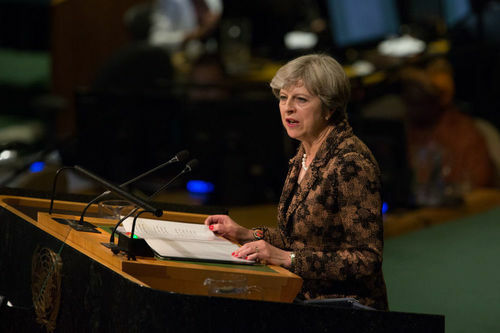 Theresa May hopes her speech in Florence will break the Brexit deadlock, as she prepares to offer better protections for EU citizens as well as outline the divorce payment plan. Angela Merkel uses her final campaign push to call on German voters not to be complacent, in a bid to avoid the far-right gaining any more traction. 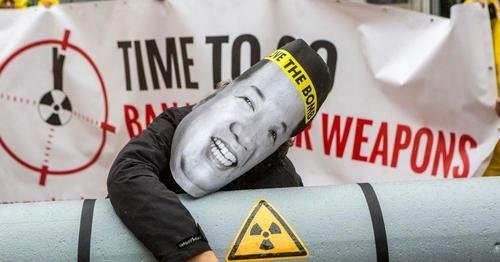 Asian stock markets fell on fears the Kim Jong Un will pursue another nuclear bomb test. Theresa May aims to change the course of Brexit talks during her speech in Florence in a few hours time. She will reportedly offer 20 billion euros to the European Union. This would be paid over a post-Brexit transitional period, where the UK would still have single market access. The EU has been pushing for a firm offer on the divorce bill ahead of the next round of talks. Facebook is handing over information from Russian-backed ads on its network to Congress, amid talk of new legislation regarding online political advertising. 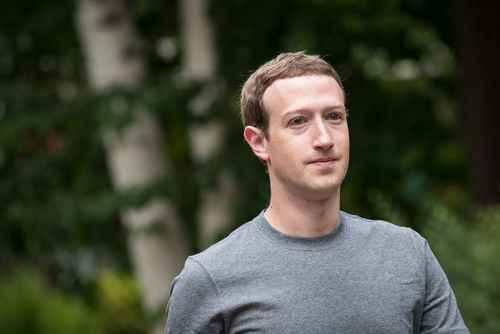 CEO Mark Zuckerberg says he does not want anyone using the social media platform to undermine democracy. Facebook has faced criticism for how it handled fake news and manipulating ads during the U.S. Presidential election last year. Ahead of the German election at the weekend, Facebook says it is monitoring accounts but has seen no evidence of any interference. China has hit back at S&P's decision to downgrade the country's sovereign rating over debt worries. The Finance Ministry said the move was mind-boggling, as the rating agency provided no new information. 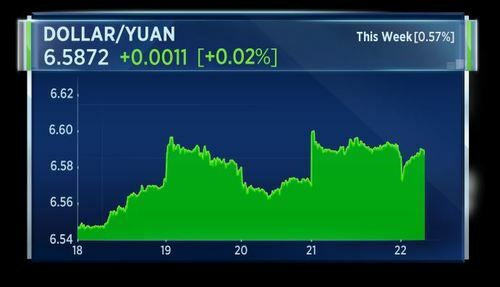 However, the dollar is up against the yuan following the decision. North Korean leader Kim Jong Un has promised to make a "mentally deranged" Donald Trump pay dearly for his threats. The comments from Pyongyang come as President Trump imposed new sanctions on the country. Kristin Welker has more. U.S. markets fell in yesterday's session. The Dow snapped a 9-day winning streak. The losses came a day after the Federal Reserve indicated plans to start reducing its balance sheet. 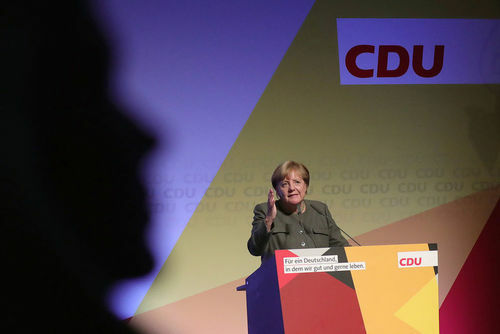 German Chancellor Angela Merkel has urged supporters to go out and vote in Sunday's election. This amid fears that low voter turnout could provide a boost to the far-right Alternative for Germany party. A recent poll shows 34 percent of voters were undecided or not planning on casting a ballot. That's higher than the 29 percent who did not vote in the last elections in 2013. Merkel's lead is down to her campaign message of 'continuity and familiarity'. That's according to UBS Chairman Axel Weber, who tells CNBC in an exclusive interview that German voters are looking for consistency. Weber also said that even though Merkel's party leads in the polls, she still faces a challenge to form a coalition government. 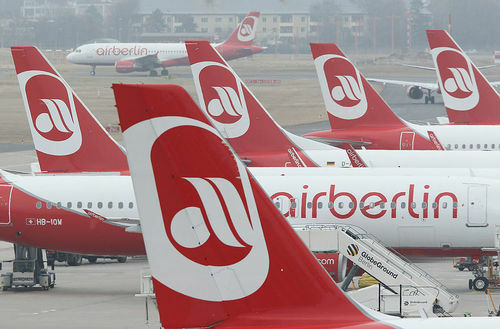 Air Berlin says it is pursuing talks on air transport activities with selected bidders. The German airline says it is continuing talks with Lufthansa and EasyJet. Talks may continue to October 12. Air Berlin is also continuing negotiations on sale of other businesses. 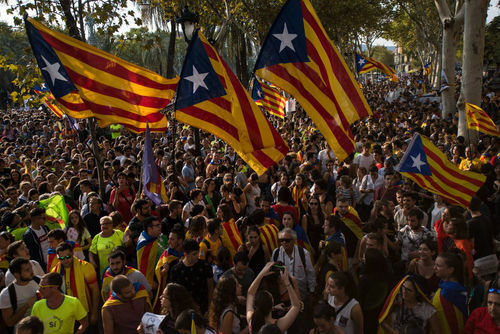 Thousands of protesters gathered in Barcelona to call for the release of officials that have been arrested over the region's independence referendum. Catalan leader Carles Puigdemont says he will press on with an October vote on a split from Spain, despite a tumultuous week of raids, arrests and demonstrations as the government has sought to derail the vote that it says is a violation of the country's constitution. 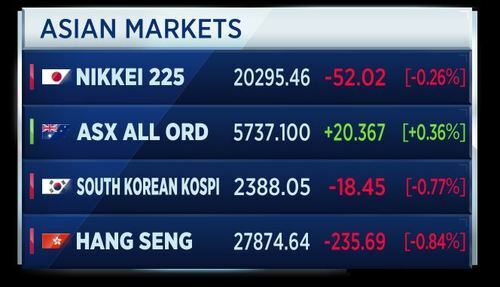 Asian markets are now closed, with the South Korean and Hang Seng markets down almost 1 percent after threats from North Korea. North Korea may test a hydrogen bomb of an unprecedented scale on the Pacific Ocean. The comments come from the regime's Foreign Minister, who was speaking to reporters in New York. Meanwhile North Korean leader Kim Jong Un has promised to make a "mentally deranged" Donald Trump pay dearly for his threats. Kim also said that Trump's stance had confirmed his own nuclear program as the correct path. Both of their comments come after the U.S. President said he would "totally destroy" North Korea if the regime threatened the U.S. and it's allies. Iran's President Rouhani tells the country's armed forces that Iran will strengthen its missile capabilities, according to Reuters citing state TV. This comes a few days for President Trump's UN speech where he attacked the regime in Iran. We want a fit Europe, not a fat Europe. That’s the message from Robin Bew, CEO of The Economist Intelligence Unit. He says changes to improve Europe need to be made by countries and not at the EU level. When we look around Europe and see where the fault lines are, most of the fault lines are around domestic policy – doing things to make your own country more competitive. We think that’s what would happen if you want to make Europe fit. 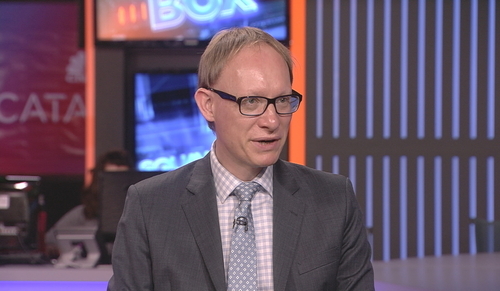 Bew says the biggest issue is labor market rules which make it difficult for businesses to churn their workforce. People in work really like those rules because it means it’s very difficult to fire them, but people out of work hate them because it means it’s very difficult for them to get a job. If you saw changes like that across Europe, we’d get much fitter. 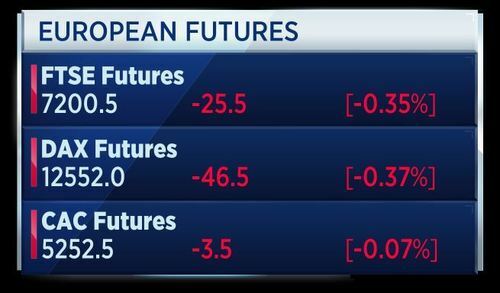 European markets look set to follow U.S. and Asian markets lower. Here are the future values ahead of the market open. The final reading of French Q2 GDP grew 0.5 percent quarter over quarter, matching a previous estimate, according to INSEE. French households' consumer spending power accelerated in the second quarter, INSEE said. 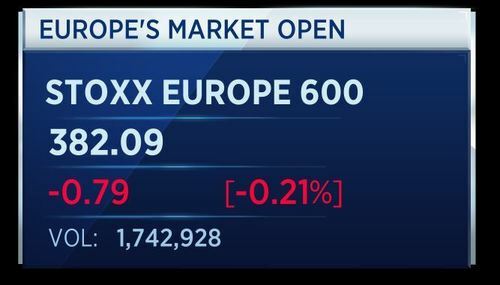 European markets open lower at the start of Friday trade, following Wall Street and Asia down. French September manufacturing PMI flash estimate is 56.0, beating the forecast of 55.5 and higher than August's 55.8. The country's services PMI index flash estimate is 57.1, again beating the forecase and August reading. The composite PMI index is now 57.2. 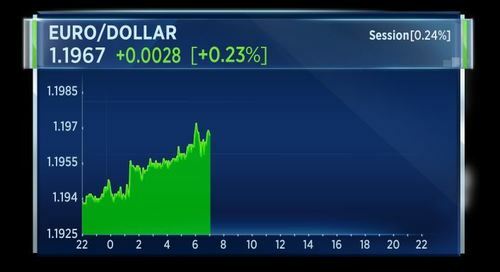 The euro firms against the dollar and the French CAC 40 index rises following the solid set of French PMI data. 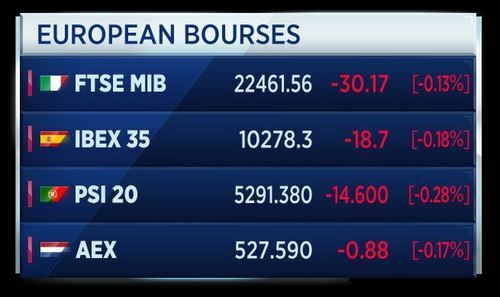 Here's a look at how the individual European bourses are performing this morning. Most of the markets are in negative territory, except for the the French index, which is benefiting from better than expected economic data, and the Swiss index. Lufthansa is set to acquire the bulk of the bankrupt airline Air Berlin, according to Reuters. Easyjet and the Thomas Cook subsidiary Condor are tipped to take over the remaining assets. Negotiations between Air Berlin's creditors and the bidders are now expected to continue until October 12th, pushing back the original September 25th deadline. Ryanair's flight cancellations could cost the airline up to £53 million in compensation. That's according to SkyCop, the internet platform which advocates on behalf of air passengers. Ryanair's shares closed yesterday's session in negative territory amid concerns over the mounting costs resulting from its staffing shortage. The low-cost carrier is in the midst of a recruitment drive, and has offered many of its existing pilots pay rises, as it seeks to prevent further cancellations. Siemens is reportedly in talks with both Alstom and Bombardier to merge its rail business. According to Reuters, Siemens will select its preferred partner within days for further discussions. Siemens was reportedly close to striking a deal with Bombardier in July, while an agreement with Alstom would make the German conglomerate a majority shareholder. L'Oreal shares are rising on speculation over the future relationship between the cosmetics giant and Nestle, following the death of L'Oreal heiress Liliane Bettencourt. A joint agreement between Nestle and the Bettencourt family over its 23 percent stake in L'Oreal will now expire in six months. Bettencourt, the world's richest woman, died yesterday aged 94. China's foreign ministry has called on all sides to exercise restraint following North Korea's hydrogen bomb threat. The ministry says China is opposed to unilateral sanctions and says North Korea is very clear about China's opposition to nuclear tests. German September flash services PMI is in at 55.6, beating forecasts of 53.8 and August's reading of 53.5. Flash manufacturing PMI is 60.6, again beating forecasts and August. The flash composite PMI is 57.8. 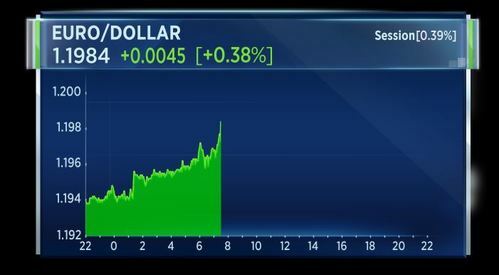 The euro is rising strongly against the dollar following the better than expected German PMI data. 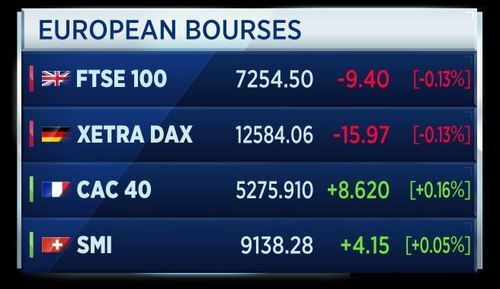 These are the main headlines following the opening of European markets. 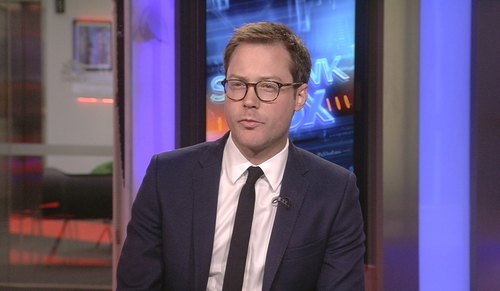 Jamie Dimon says North Korea is the biggest threat mankind faces right now, after Pyonyang threatens a H-bomb test. But the JPMorgan CEO thinks investors should stay calm. 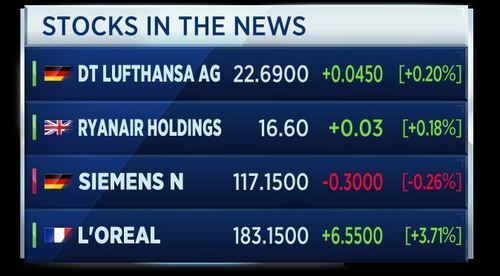 L'Oreal shares jump as the death of heiress Liliane Bettencourt puts the beauty company's agreement with Nestle under review, opening the door for a stake increase or even a full buyout. Theresa May aims to change the course of Brexit talks during her speech in Florence in a few hours time. She will reportedly offer 20 billion euros to the European Union. This would be paid over a post-Brexit transitional period, where the UK would still have single market access. The EU has been pushing for a firm offer on the divorce bill ahead of the next round of talks. Meanwhile, Britain's Labour Party annual conference kicks off in Brighton this weekend. Recent polls from YouGov and IPSOS Mori give Labour a slight lead over Britain's governing Conservative party. 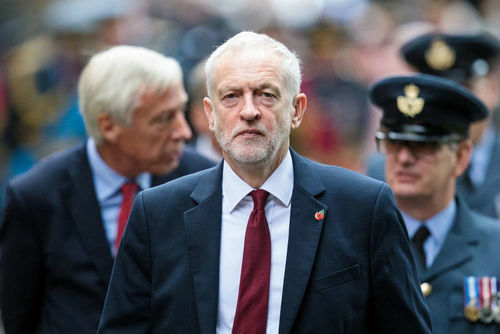 As a result, Labour Leader Jeremy Corbyn is likely to use his conference speech to stress his party's readiness to fight any future snap election. Free movement of people is necessary for the U.K. economy, says Allen Simpson, chief operating officer of Labour in the City. This is not only because of the need for skilled workers, but also the need for labour in retail and agriculture, he said during a discussion of what Brexit should look like. What the Labour Party has said, and it’s probably the right position, is that you should try and achieve something like continued participation in the customs union and continued participation in the single market. The logic of that may lead you to participating as members of those things. We'll close the live blog there. Later this afternoon we will have Theresa May's speech in Florence to look forward to. Join us against next week for more from World Markets Live.